Here at Retro Press, we thrive on designing different things upon request. We have designed some very traditional styled wedding invitations and we have designed some very contemporary invites too... Anything is possible! The invites that we are featuring in this blog piece have been based upon a James Bond styled party to celebrate the couple in question's marriage. They have been design especially for the couple and we have hand printed black foil onto black paper to create these classy, stylish and 'Bondesque' invitations. As they are black on black, it was quite difficult to capture the look and feel of them... If you'd like to see the quality and finish of them, please get in touch and we'd be more than happy to send you a sample. I'd say that the majority of the work that we do here at Retro Press is wedding stationery... But we do also do a lot of corporate work. As well as wedding stationery, we also do every other type of stationery here at Retro Press, from home, business to parties and anything else you can think of!! The letterpress coasters have always been a very popular choice of product for sending out Save the Dates. They are so different, unique, beautiful and also sturdy which means that your guests are less likely to misplace them or discard of them! 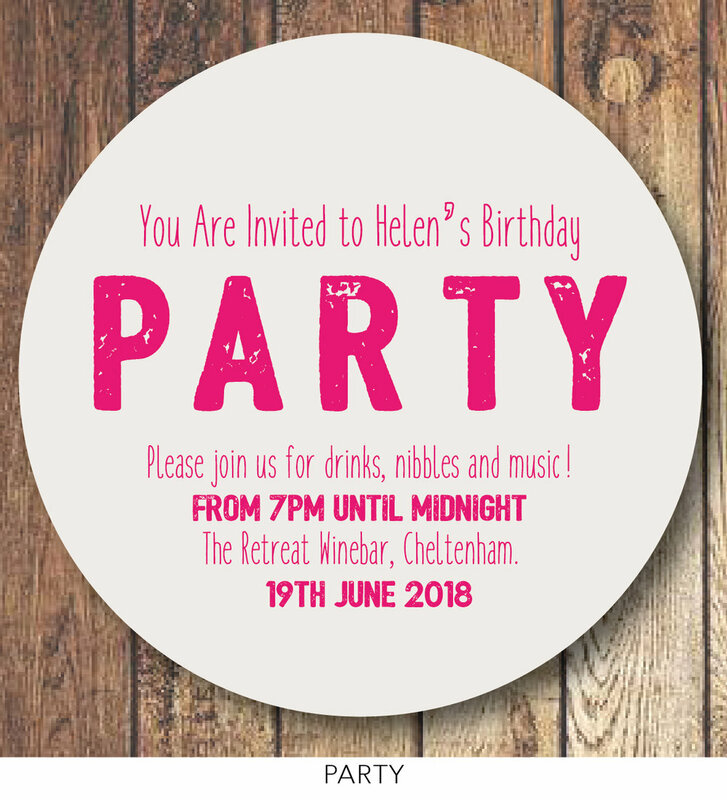 They are definitely fun ways of sending out an invitation, so we have now created a birthday party range and will be adding it to it all the time. What better way to get your guests into the spirit of things other than sending them a better matt?! The two that you see below, you can find on the website and you can obviously change all of the finer details and colours to match with what you want. Another nice way of utilising the beer matt is to actually have them on the tables of your actual event/ party/ wedding. I have designed this one below which can be changed into any number you wish and in any colour too. If you have any enquires please don't hesitate to get in touch. 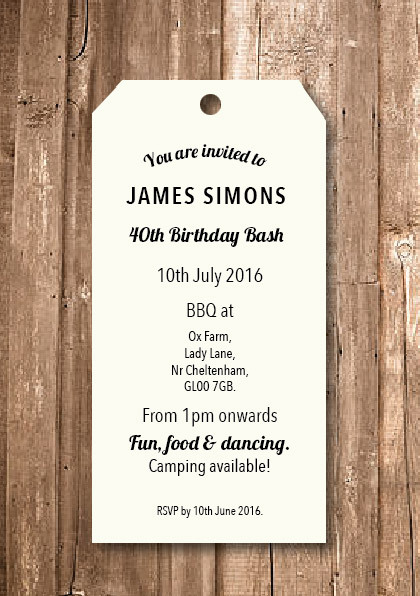 Our personalised design service is not just limited to wedding stationery here at Retro Press... We do it all, from home cards, moving cards, business cards and specifically, I want to draw your attention to personalised party invitations in this blog post. It's very easy to buy shop bought invites these days and these are good for ease and cost efficiency. 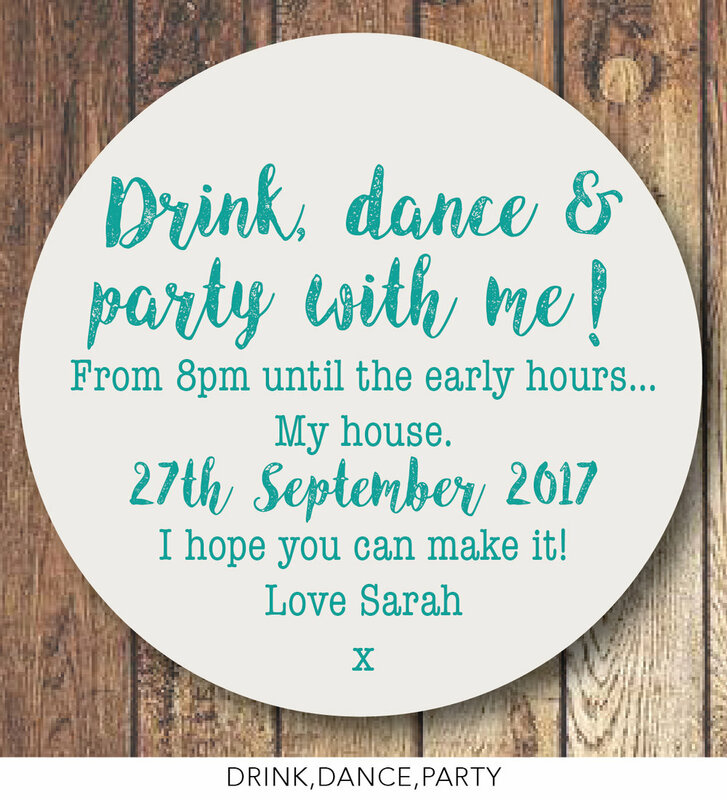 If however, you want to create the right tone and vibe to your party, I think it's essential to get your invitations made to order. As with all of our wedding stationery, nothing is off limits- we can design either traditional or modern invitations depending on your requirements. The ones that I will showcase today were designed in the style of the luggage tag label. As you can, my client had matching letterpress THANK YOU coasters to send to her guests after the big event. 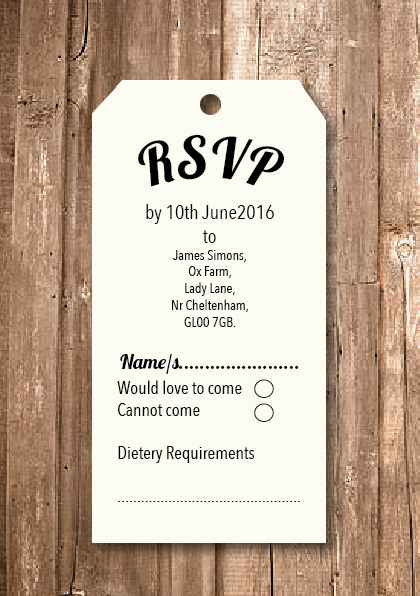 If you would like your very own bespoke invitations, don't hesitate to get in touch. Getting the right wedding font is very important as this is what determines the style of your wedding invitation. We thought we'd make life a little bit easier for you and separate a few fonts into categories for you; traditional, modern and the 'letterpress look'. Of course we have many more fonts and if there is a particular one you have in mind, we can easily get hold of it for you. For more information on getting your bespoke wedding invitations, please go to our website. There are many many different options.